When I was thinking about gift guide ideas, I thought that a guide all about gifts for those who love photography, cameras, and photos would be useful for all types! 1) Canon Lens mug (how fun are these!!) at Photojojo. 2) Personalized coffee mugs (these are a step up from the 90's mug!) at Tiny Prints. Get 30% off everything on the site with the code CB12 from November 26th-28th! 5) Want a stylish, personalized, and well-made planner? Know someone who does? I adore these Erin Condren Planners at Tiny Prints (be sure to grab the 30% off with the code CB12 from 11/26-11/28). 6) Create a recipe book filled with the family's favorites or create an Instagram photo book at Blurb. Get 25% off until 12/2 with the code: HOLIDAYTHANKS. 7) Wouldn't these Instagram photo magnets from Stickygram be the perfect gift for anyone who loves Instagram and social media? 8) With the new year approaching, a personalized calendar from Tiny Prints would make a lovely gift for a mom, grandma, or friend (30% off with the code CB12 from 11/26-11/28). 9) Coasters are always useful, and these personalized Instagram coasters from Oak Valley Crafts and Gifts would be fun! 10) This necklace from Rubies and Whimsy is the perfect accessory for anyone who loves photography. 11) Why not personalize your iphone? Check out Somebody Else's Project for personalized camera covers. 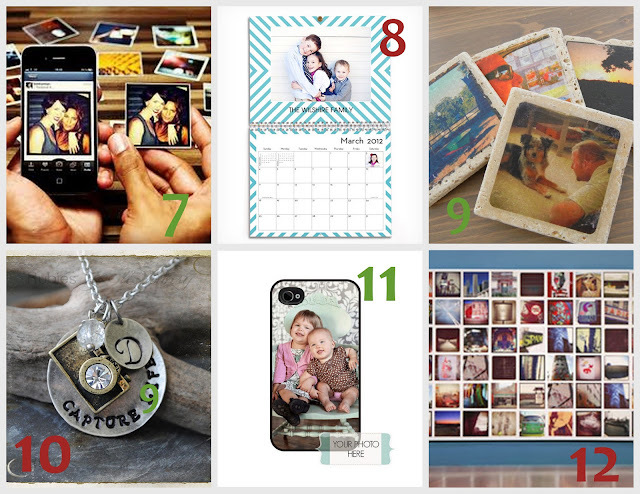 12) Want a canvas print of your Instagram or other photos? These would make wonderful gifts for family members and friends :) Check out Canvas Pop for lots of fun options. Plus, take 20% with the code NOVEMBER20 until November 30th. 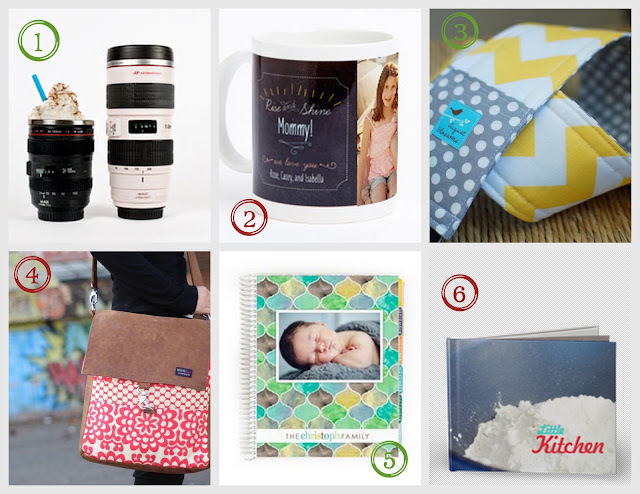 Anyone have any other ideas for personalized photo gifts or gifts for those who adore the camera? I'd love to hear! !